Connell Chevrolet - New and Used Chevrolet Dealership in Costa Mesa CA, Used Cars Orange County, New Chevy's, Used Chevrolet Dealer in Costa Mesa CA, New Chevrolet car Dealer in Costa Mesa CA. Working hours Sales hours: Sun 10:00 AM-6:00 PM, Mon-Fri 8:30 AM-9:00 PM,Sat 8:30 AM-8:00 PM. Service hours: Sun Closed, Mon-Fri 7:00 AM-6:00 PM, Sat 8:00 PM-4:00 PM. Parts: Sun Closed, Mon-Fri 7:00 AM-6:00 PM,Sat 9:00 AM-3:00 PM. 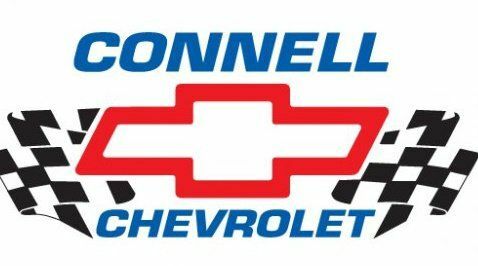 Connell Chevrolet is a family owned and operated business. The dealership was first opened in the late 1950's on Pacific Coast Highway in Newport Beach. In 1963, the Chevrolet dealership was relocated to its present location in Costa Mesa. Connell Chevrolet has earned a reputation for solid deals and quality service. In fact, you are hearing more and more about the "Connell Chevrolet Deal". We have over 200 used cars in stock and are considered a large volume Chevrolet store. We have more master repair technicians than any other Chevrolet dealership in Southern California and our wholesale auto parts department has one of the largest inventories in South California. Our team at Connell Chevrolet would like to thank you for visiting our website! When you are looking for your next vehicle in Orange County, come to our dealership in Costa Mesa to see our vehicles in stock. Whether you are looking for a brand new Chevrolet or an affordable used car, Connell Chevrolet near Irvine has a huge selection to choose from. It is our pleasure to serve Anaheim & Tustin Chevrolet customers. Our goal is to make you happy from the moment you walk into our dealership and our professional and friendly staff will help you find a great vehicle. If you have any questions before you stop by our dealership, feel free to contact us or check out our hours and directionspage to find the best driving route to our dealership. Thanks for shopping with Connell Chevrolet, and we hope to see you soon for your next test-drive of one of our superior Chevrolet vehicles. Service: New and Used Chevrolet cars sales, Used Cars sales , New Chevy's, Used Chevrolet car for sales, New Chevrolet Car for sales, Used & Pre-Owned Cars. Hours Of Operation: Sales hours: Sun 10:00 AM-6:00 PM, Mon-Fri 8:30 AM-9:00 PM,Sat 8:30 AM-8:00 PM. Service hours: Sun Closed, Mon-Fri 7:00 AM-6:00 PM, Sat 8:00 PM-4:00 PM. Parts: Sun Closed, Mon-Fri 7:00 AM-6:00 PM,Sat 9:00 AM-3:00 PM. Payment Accepted: (types) Cash, CC, Financing, Invoice.